I’ve completed real life room escapes in three different countries. I am starting to pick vacation destinations based on the presence of room escapes (no joke). It’s become a bit of an obsession… So I’ve spent a lot of time thinking about the puzzles, and how to approach completing them. I’m writing this because I want teams to get better at these games so that puzzle-masters are forced to make more challenging games. What is a real life room escape? 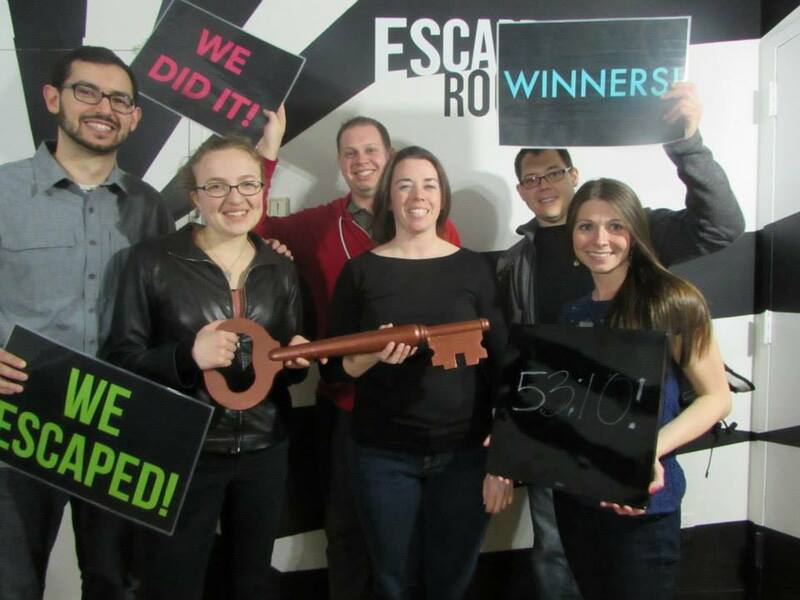 A group of people are locked in a room. The room is a puzzle that is filled other puzzles. Solve them within 60 minutes to find the key and leave. You don’t get to savor a victory. This isn’t some horror movie. No one is going to kill you, or steal a kidney. So long as you aren’t a fool and put pointy metal objects into electrical outlets or some similar stupidity, then you will be fine. These things are businesses and the owners don’t want to end up in court. Puzzle-masters seem to tune their games for a 20-30% completion rate. Most teams fail. Bring your A game. Prices vary, but somewhere around $28 per person is pretty much what you should expect. A minimum of two people. They pretty much always have something that requires two sets of hands. Use some common sense on team size. If the puzzle is for 8-10 people and you show up with 2… You’re probably going to fail because you just won’t have the time to get through everything. If it’s a 4-6 person puzzle, 2 people at least have a prayer. You want a good mix of people. These rooms have wide variety of puzzles. Some are mathematical, some are language based, some require physical activity, or even a little engineering. If everyone on your team is a mathematician, that’s probably not a good thing… But you want to make sure you have some really solid mathematical thinkers on your team. Diversity of thought and skill is key. The smartest team could still struggle if they can’t work together. Pick people who can respectfully collaborate. One person could spoil an entire team. The threat isn’t losing (which is likely), it’s that you might not have fun. This stuff should be fun. Leave the sphincters at home. When the game starts, there’s a tendency for noobs to stand around looking at their feet like they are at a school dance. Don’t do that. Get your hands dirty. The first thing you need to do is turn over the room. Inspect everything. If you can open it, open it. If you can take it apart, take it apart. If it has sides, look at all of them. You never know what is or is not a clue. This isn’t a competitive game. Your team wins and loses together. If you find a clue, or something that may be a clue, announce it. If you find a combination lock, announce it, along with the amount of numbers it requires. A message to the introverts out there… Speak up. If you have a solution, or possible solution, don’t waste time trying to find the right moment to let the group know. Just do it. Your solution is useless if it isn’t applied. If you’re an extrovert, try shutting up every once in a while (especially if you’re loud). You probably have some introverts on your team who might know something you don’t. It’s great when an extrovert has answers. Problems get resolved quickly. If the teams extroverts are wrong, then they are loudly killing time. This is essential near the end. When the game starts everyone can go off and find their own puzzles to solve. When you reach then end, there is just one big final boss puzzle to resolve. Calm and quiet teamwork is the path to victory. Being loud doesn’t make you correct. Suspend your disbelief, and soak up the experience. The more into the game you are, the more you will get out of it. If you’re going to be too cool to have fun, just stay home. If you win, enjoy it. There aren’t many things left in our childproof, everyone gets a medal, rubberized world that have a 4 in 5 chance of failure.